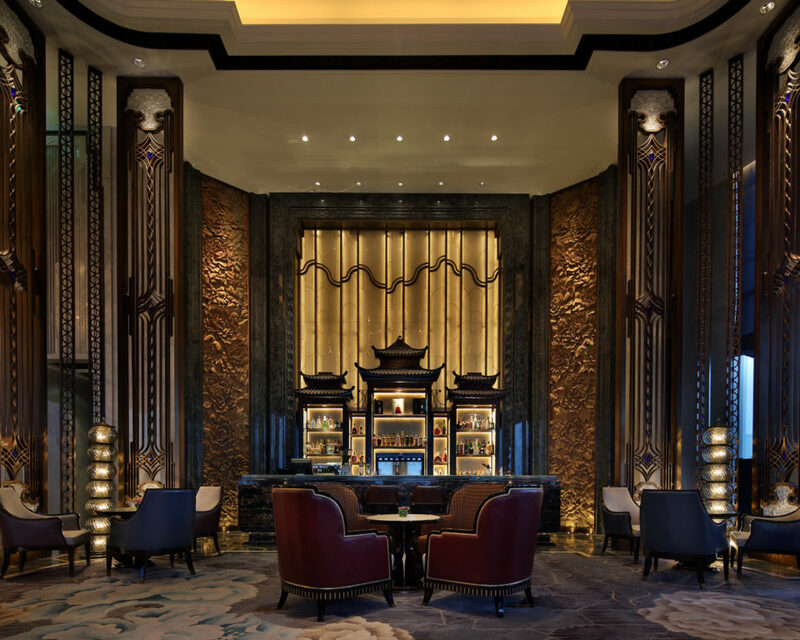 The hotel is situated in the heart of Chengdu’s exclusive CBD, at the affluent intersection between Renmin South Road and the Jin River. 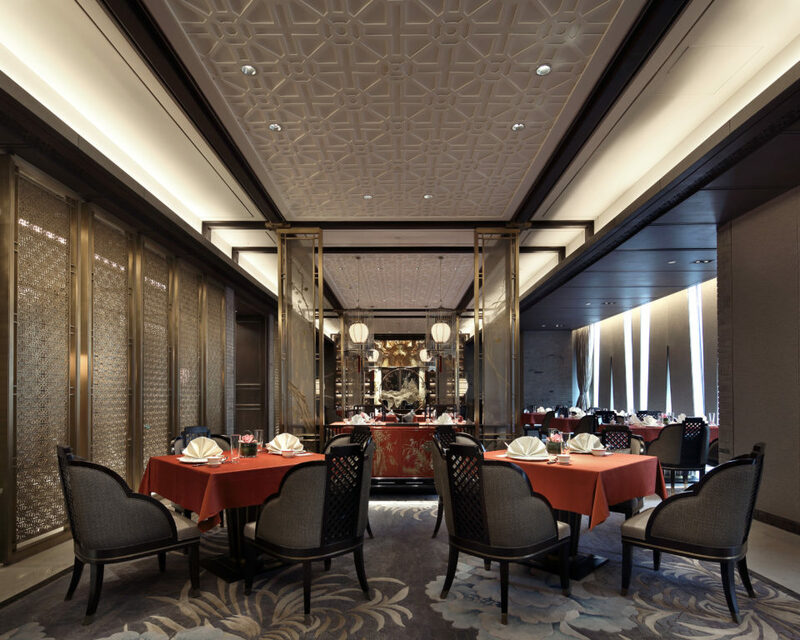 This spot was also historically a point of convergence for goods and merchants setting off on the ancient Tea Horse Road. 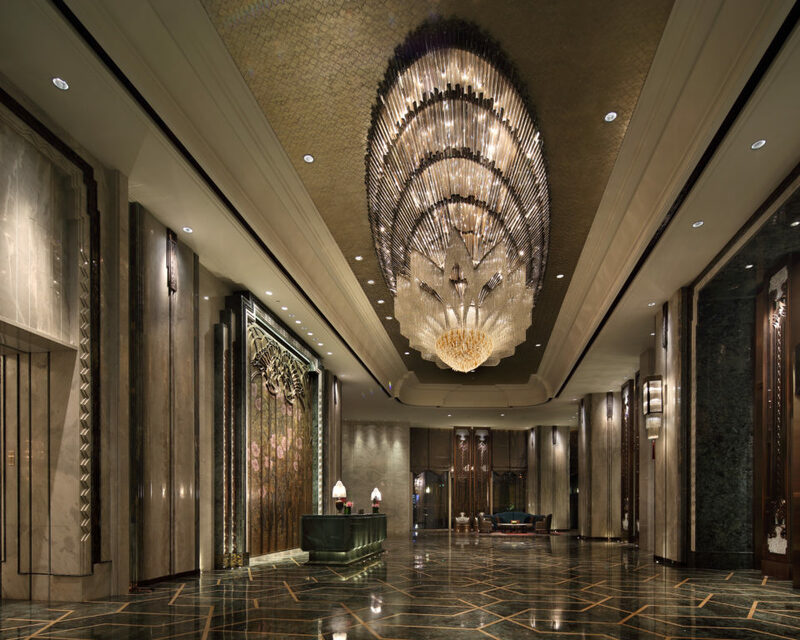 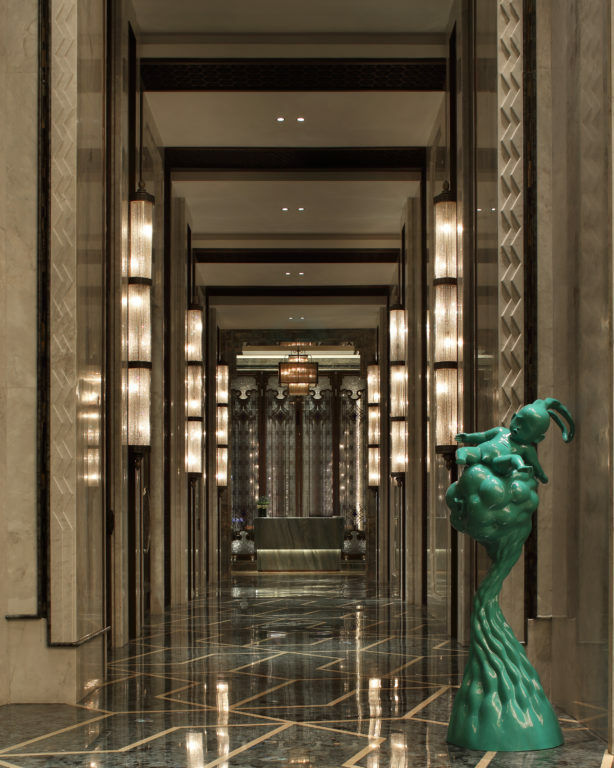 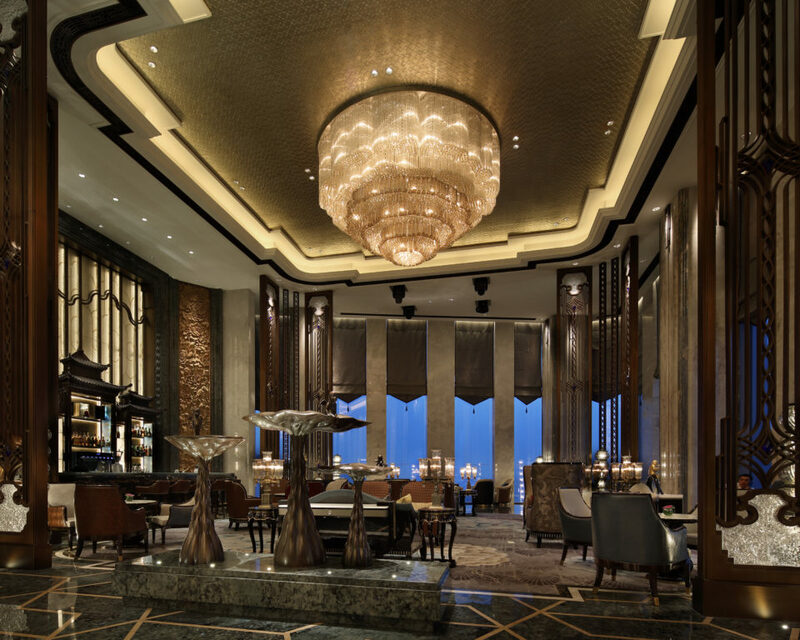 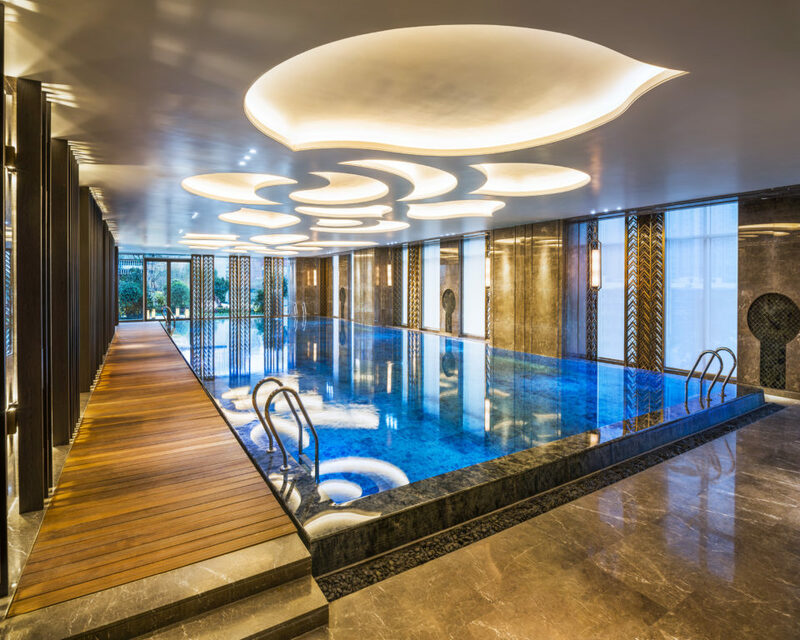 The hotel’s sky lobby is located on the 41st floor, overlooking Chendu’s landmark Tianfu Square to the north and boasting pleasant views of the Jin River to the south. 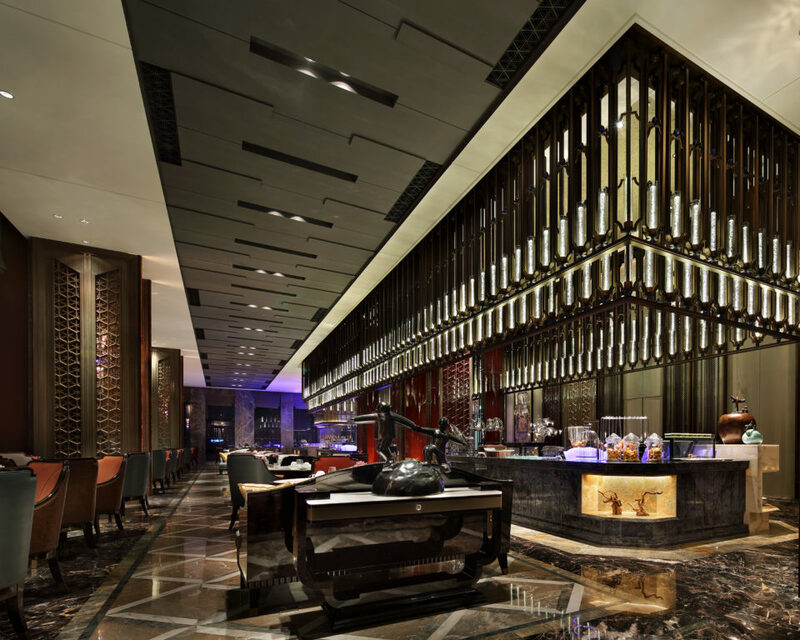 Guests are treated to a panoramic view of Chengdu’s urban landscape. 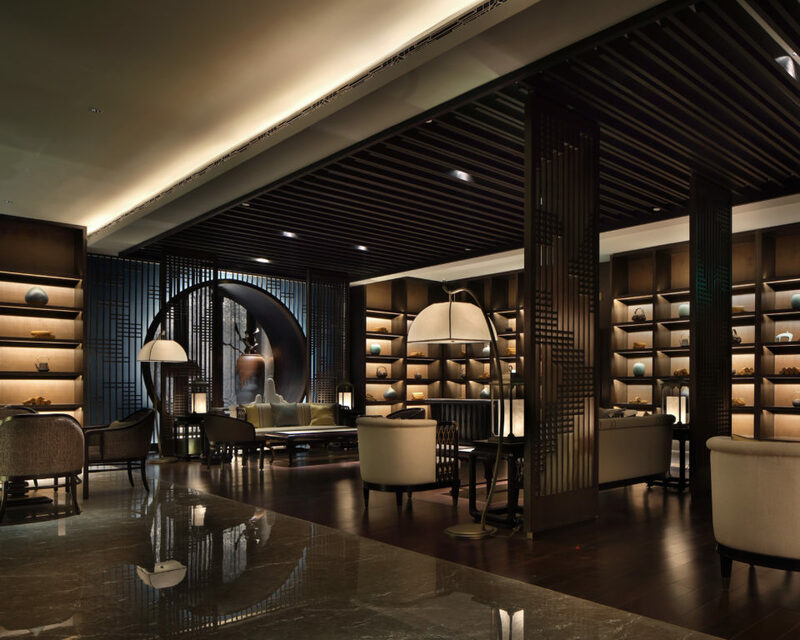 The hotel’s interior design concentrates on giving voice to local characteristics. 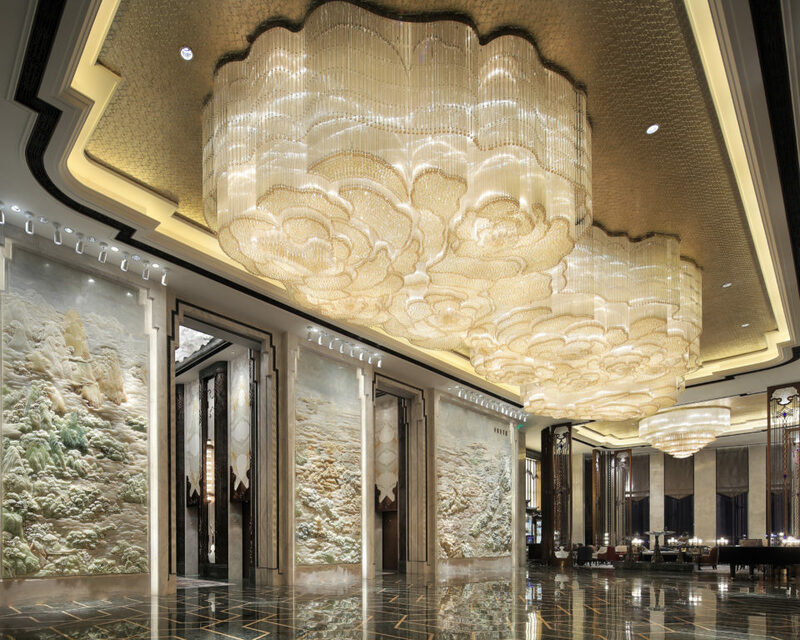 Another name for Chengdu is ‘Confederate Rose City’ and from the outset the designers were intent on having the city’s official flower as a theme running throughout the hotel space. 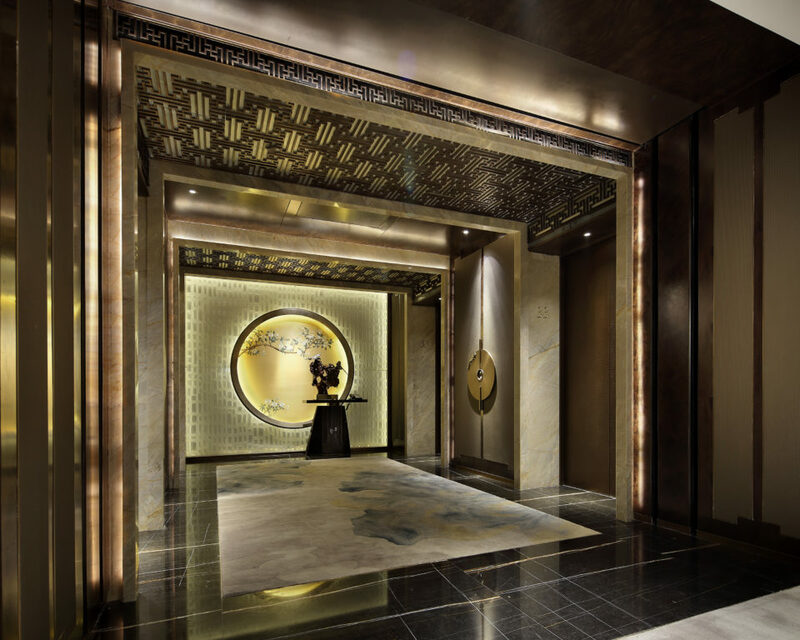 This is reflected in a variety of design details reflect this such an carpet designs, crystal lamps and fabric colours.